* Watt ( true power ), ACV, DCV, ACA, OHMS, Diode. 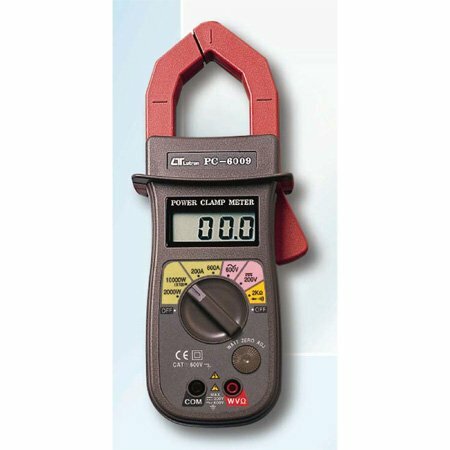 * Watt measurement via the inductive clamp jaw. * Wide range for power measurement, max. value up to 10,000 watt. * Design meet IEC 1010 safety requirement. * Heavy duty ACA clamp meter, 600 A max. range. * Compact & heavy duty ABS housing plastic case. * Measure AC current by the inductive conductor.